The Saab 9-4X. The Pontiac Solstice Coupe. The Mercedes C55 AMG. These are all cars that are exceedingly rare, compared to the staggering numbers of McLarens that have now been built. As of today, depending on how you count it, McLaren has made more than 10,000 cars. For the record, McLaren told us that it is not including the McLaren F1 in the official production figures (which, ??????? 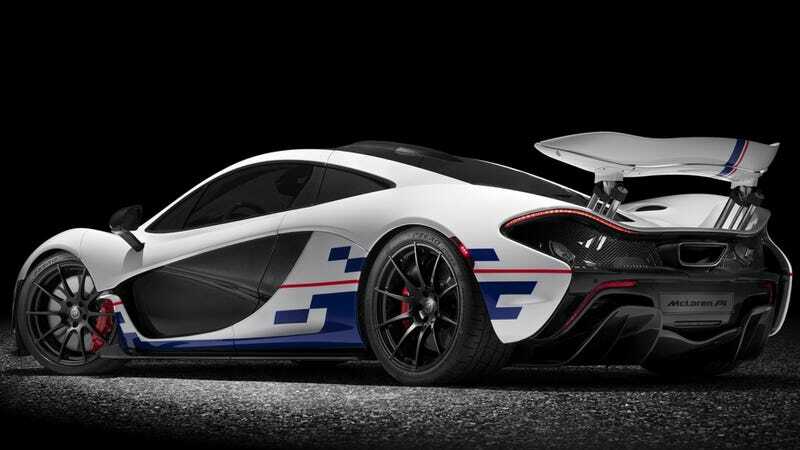 ), but it is including the McLaren P1 GTR in that figure. If we include the F1, and the oddball M6GT because sure why not, McLaren’s probably hit the mark a little while ago. But not too long ago, because the number of McLarens that exist in the world seems to be increasing at a growing rate. In 2011, McLaren made just 551 cars, and in 2012 it made almost triple that figure, with 1,553 cars built. That number held roughly steady for the next few years, with 1,594 cars built in 2015. It’s sort of crazy to start building road cars from scratch these days, especially one built to compete with the Ferraris, Lamborghinis, and Porsches of the world. It’s even crazier to succeed at it. Even when you’ve once built the vaunted McLaren F1. Good on you, McLaren. Maybe you’ll make so many we’ll all be able to afford one someday. Can’t wait.